Best Buy Realty offers technically advanced search capabilities and hands-on client care to help find affordable homes for sale in Dallas, TX. Our online search capabilities include real estate for sale in the Metro Dallas Area plus all surrounding cities and towns like Plano, Frisco, Addison, Allen, and more. Best Buy Dallas, TX real estate listings range from single family houses, town homes, and condos, to villas and property for building custom homes. Get started now by using the search options above or to the right to browse our Dallas, TX homes for sale. Best Buy Realty is your home for the best buy in Dallas, TX real estate. Our team of professional real estate specialists will use its knowledge and experience to help you buy or sell a home in Dallas, TX. Nothing says “job well done” to us more than a referral from a satisfied client to a friend or family member who is searching for a home in Dallas TX. 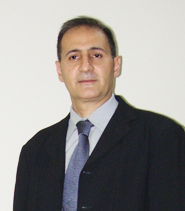 Masoud Amini is a professional real estate broker who is dedicated to helping you find your perfect home in Dallas, TX. Whether you are looking for a home in Dallas, a condo in Plano, or a villa in Frisco, Masoud has the background and experience you need to make the right choice. He is equally comfortable working in the bustling commerce of Dallas as well as the peaceful suburbs of Addison or Allen. When families are searching for a home in Dallas TX Masoud enjoys guiding them through the entire process, whether they are a first time buyer or a veteran home owner. His passion is making sure that clients find a great home at an affordable price. Rosalinda Vazquez is happy to be working in the Dallas TX real estate market. She enjoys educating clients about what to look for in a Dallas TX home, helping them find a home to suit their needs, and guiding them through the entire purchase process. 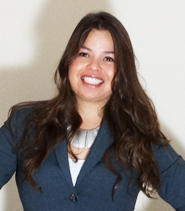 Rosalinda’s goal is to reduce the stress of the home-buying process and to make it comfortable. She is willing to take the time needed to make sure clients understand what is happening so they are thrilled with their new home. My family and I used Best Buy Realty to help us sell our home in Irving, TX and buy our new home in Frisco, TX. Masoud and Rosalinda made great suggestions that helped make our house much more attractive to potential buyers. They were also very patient and took the time to help us find a home we loved in an area that was accessible and had great schools. It was everything we wanted in a home-buying experience.